We move around quite frequently, which can present lots of challenges, but also lots of fun opportunities for adventure and trying new things. When we moved to a little place called King George, Virginia I was unsure I'd ever like it here. In my defense, we had come from Tucson, Arizona and I was all about that desert lifestyle! So here's my first post highlighting this little area of VA along the Potomac River about an hour and a half southeast of D.C. Restaurants in the Dahlgren, King George, Colonial Beach areas are rough you guys. When you're a family like us who has lived in amazing corners of the world with excellent food, moving to areas with very few choices is hard! It's easy on the wallet, but hard on my "foodie" spirit. Luckily we do have a few places we like to frequent and for those moving here, living here, or just passing through these posts are for you! Colonial Beach is a RIVER TOWN "y'all". I don't usually say ya'll, but when on the River! 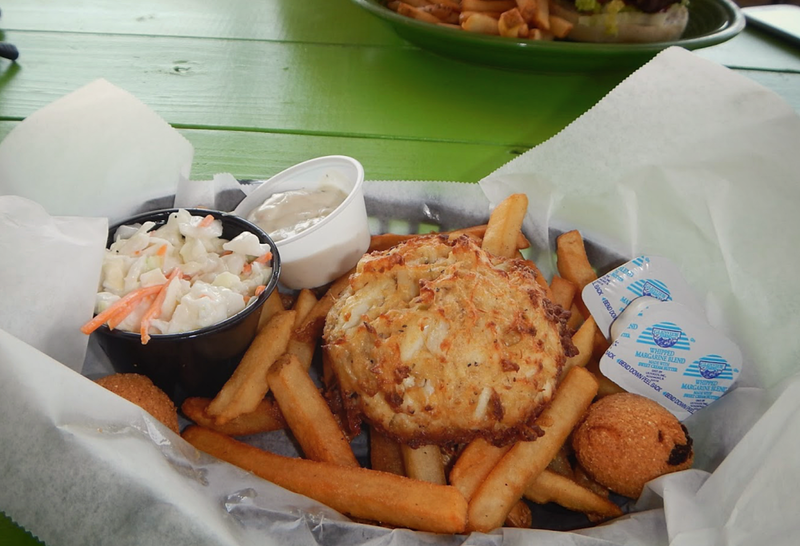 It is a cute little slice of beach where the residents drive around in Golf Carts, own boats, and seem to be some of the friendliest people you'll ever meet and Dockside is just ONE of their river side restaurants. This one though, takes full advantage with being on the "beach" by having a large outdoor area complete with tiki bar, stage, sandboxes, boats for pics, and swings! Plus, I love all the bright colors! 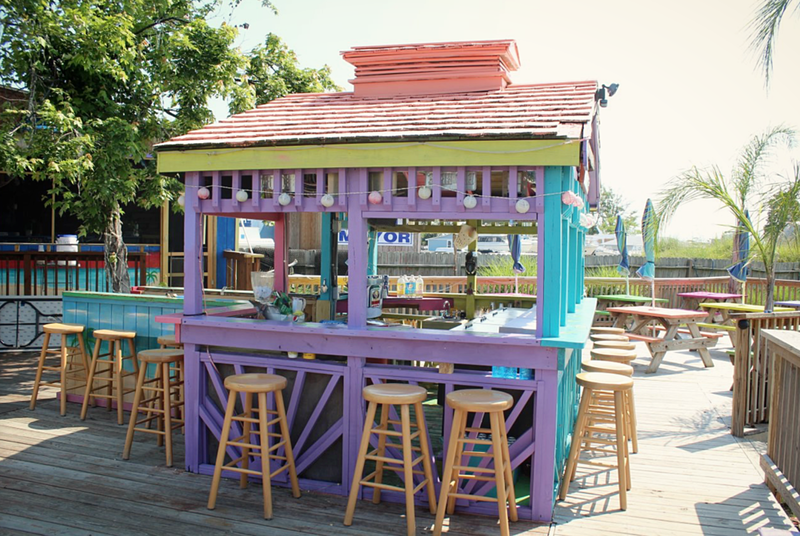 It's like something right out of a Jimmy Buffett song and they do offer plenty of boat drinks too! While most river restaurants are famed for the many options of fried seafood, this one offers other options, which is why I dig it. Fried foods don’t sit well with my tummy! The prices are on the higher end and the food isn't amazing, but it's pretty good! The ambiance however, makes this one of our favorites. The kids play in the sand for hours while we get to partake in the boat drinks while watching the boats go by. If you do own a boat you can just pull it on up to the doc and go on in. They offer lots of live entertainment as well, just be sure to check out their site for the schedule! This place is super laid back. So laid back even that sometimes I question if they have any rules besides the fact that you have to have shirt and shoes when you're in the indoor dining area! I have even seen many dogs running around there with their owners, getting some time on land before returning with their owners to their boats! If you want to see more pics of the place check out my post here about kids swim suits and visit docksides website as well.